In a note to clients — as noted by AppleInsider — Piper Jaffray analyst Travis Jakel says Apple has hired Nick Thompson, formerly the lead audio engineer for Microsoft's HoloLens augmented reality project. Piper Jaffray analyst Gene Munster, thinks this is further evidence that the company likely has an internal team working on potential augmented reality (AR) projects. Augmented reality (AR) is a live direct or indirect view of a physical, real-world environment whose elements are supplemented by computer-generated sensory input such as sound, video, graphics or GPS data. In other words, a view of reality is modified by a computer. Here's how Thompson's HoloLens work is described on his LinkedIn page: "Audio hardware development, architecture, electrical and acoustic engineering for groundbreaking wearable consumer electronics device. Initially as an individual contributor, from July 2014 as the manager of the growing team that is implementing the audio hardware from the SOC through to the I/O for the audio paths of the device. Responsibility for acoustics, delivery of EE subsystem and management of suppliers, electrical verification of audio subsystem and acoustic verification." Microsoft describes HoloLens as the "first fully untethered, see-through holographic computer" for a "mixed reality" experience. In other words, it mixes holograms with real world views. This isn't the first time Apple has been connected with AR reports. In May Apple purchased Metaio, a company makes Metaio Creator, an ARauthoring tool. Metaio says it allows for quick and easy creation and deployment of AR scenarios that are based on the latest tracking technologies. You can create your own AR scenarios within minutes, the company adds. Apple has filed for several patents involving VR (virtual reality) and AR. One patent involves augmented reality (AR) apps for iOS devices such as an iPhone and iPad — and which would seem handy if Apple ever made a version of Google Glasses. Another is for a a glasses-free, interactive device that can display holograms in 3D. A 3D Mac, perhaps? Another patent filing indicates that Apple has considered a 3D imaging and display system that would work with Macs and iOS devices, and which would scan and display simultaneously. 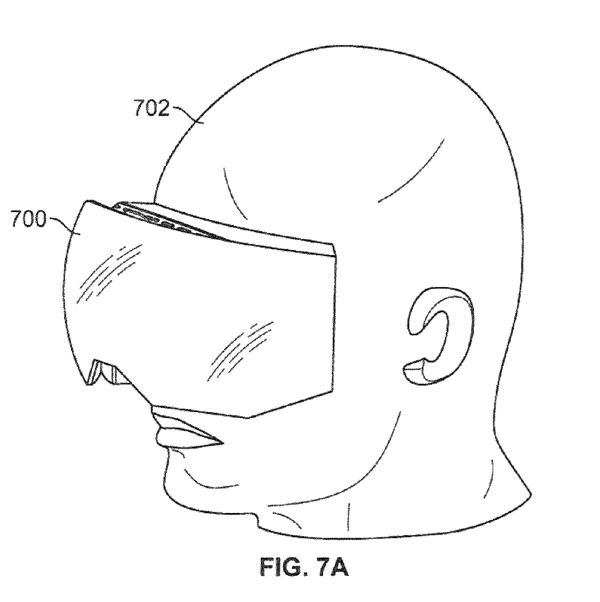 Yet another patent filing describes a device for “projecting a source image in a head-mounted display apparatus for a user” to deliver “an enhanced viewing experience. There’s good reason for Apple to look into VR and AR products and technology for their iOS devices, the Mac, and the Apple TV (if/when we get an Apple TV App Store). The global market for virtual reality gaming was valued at US$467 million in 2012 and is expected to grow at a compound annual growth rate of 39.% through 2019, according to Research and Markets. What’s more, Juniper Research says the mobile Augmented Reality (AR) market is set to increase dramatically from 60 million unique users in 2013 to nearly 200 million in 2018. The market will expand from the early adopting gaming segment and navigation based utility to becoming an integral part of the consumer’s ecosystem, according to the research group. Despite initial trepidation and single use applications of the technology, Juniper forecasts AR to become a key future platform for communication and commerce.